Today Sunnyhills had a presentation by Mr Eco. 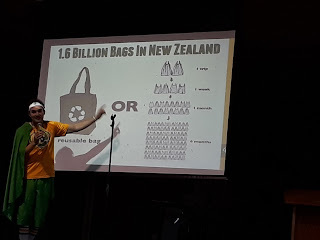 Many of the Enviro messages we teach at school were reinforced and he showed us that we can all help create a sustainable future. Through the medium of hip hop he encouraged the students not to waste water or to litter and highlighted the damage plastic bags and straws are doing to the environment. 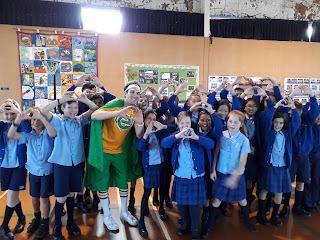 The show was interactive with singing and dancing to keep the students engaged and all the students went away with positive messages to take home. He Inspired us to all be EcoHero leaders for life!